Ward Hall, 83, has seen plenty of human oddities in his 67 years on the sideshow circuit. Hall, the “King of the Sideshow,” has transported his traveling 12-in-1 spectacle World of Wonders Palace of Illusions to the 2012 Minnesota State Fair. 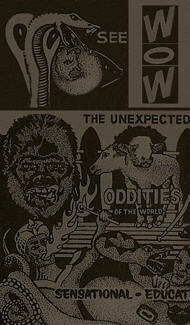 The World of Wonders (“strange oddities from strange places doing strange things”) features 12 acts on one stage highlighting carny artists and illusionists such as: The Amazing Spidora (“Eight Legs of Sheer Terror”), Human Blockhead, Weird Women, Divas of Danger, Headless Marvel and Tweedly Dee. 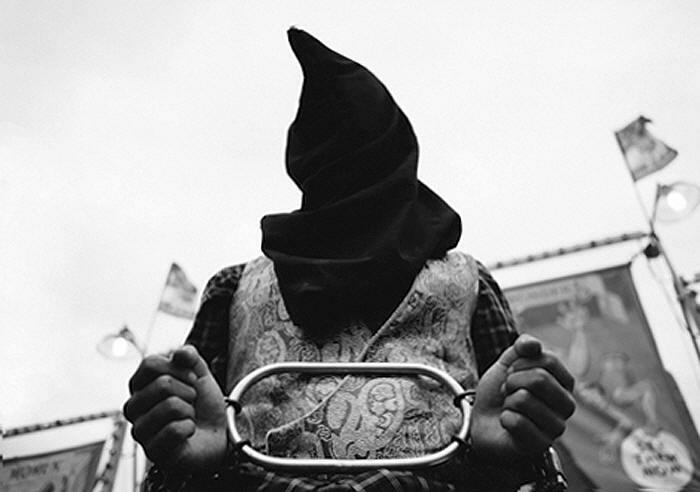 The live performances include sword swallowers, escape artist, a whip expert and fire-eaters. World of Wonders barker and sword swallower Tommy Breen, 32, has been with the show for eight years. He watched fellow sword swallower Red Stuart chug down a car axle from a Model T Ford. “That’s pretty gnarly even for me,” said Breen. 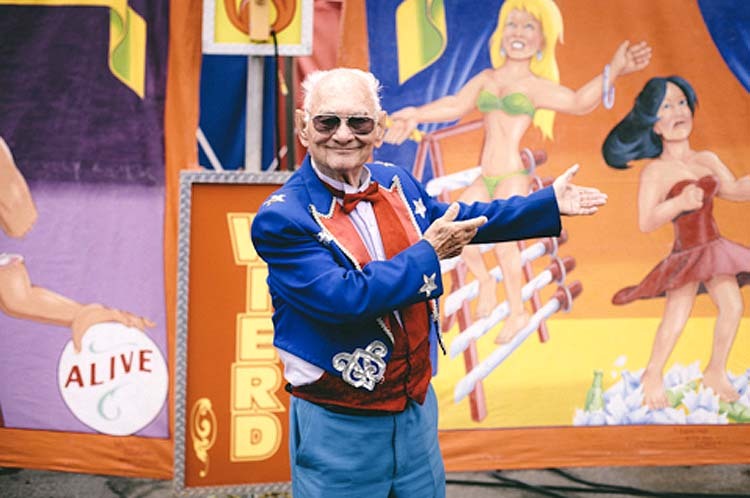 Stuart, whom Breen said is the oldest living sword swallower still performing, holds multiple Guinness World Records for his art. Stuart broke his own record by swallowing 52 swords at the 2009 Minnesota State Fair. The Sword Swallowers Association International says the art of sword swallowing originated over 4,000 years ago in India, requiring the practitioner to use mind-over-matter techniques to control the body and repress natural reflexes to insert solid steel blades down the esophagus and into the stomach. The Association sponsors a World Sword Swallower’s Day, held the last day in February. One of its fund-raising efforts is to provide monies to the Injured Sword Swallower’s Relief Fund.